It’s less than two weeks until the first PokerStars Championship Monte Carlo on the French Riviera. MainEventTravel have several fantastic hotel options for PokerStars Championship Monte Carlo including the beautiful 5* Hotel Metropole, located just a few steps away from Monte Carlo’s luxury boutiques and Casino Square. We also have the popular Novotel and the great value Columbus Monaco. Monaco, a tiny principality close to Nice, has hosted dozens of memorable poker events including 13 EPT Grand Finals. 2017 continues the EPT tradition with the world’s best poker players heading for their annual trip to one of the world’s most glamorous destinations from April 25-May 5, 2017. 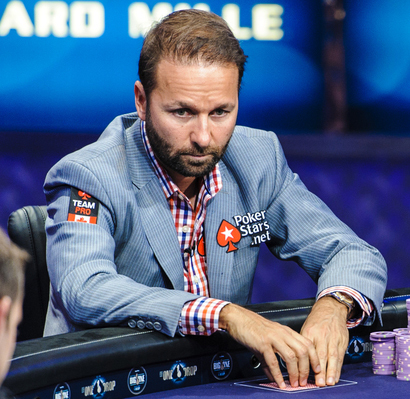 The event, which takes place at the glamorous Monte Carlo Bay Hotel and Resort, features 71 tournaments on the schedule as well as a whole bunch of fun activities off the felt including driving a Ferrari, chatting with Daniel Negreanu and playing tennis against Fatima Moreira de Melo and Vanessa Selbst, the most successful female poker player in histort. PokerStars’ annual jaunt to Monaco always involves a thriving cash game scene as well with dozens of tables offering anything from €1/€2 No Limit to €25/€50 PLO, depending on demand. With an expected €30 million in prize money on offer, the debut PokerStars Championship Monte Carlo is certain to attract a host of big name players. As well as the €5,300 buy-in PokerStars Championship Monte Carlo Main Event, highlights on the schedule include the €1 million guaranteed €1,100 PokerStars National Championship (formerly known as the France Poker Series Main Event). Last year, the FPS event had a total of 1,261 entries and the Main Event had 1,098 entries. Other events certain to draw top flight pros are the €2k PokerStars National High Roller and a €10,300 PLO event. Two events have a guaranteed €1m first prize: the €25,750 Poker Championship High Roller and the €100k Super High Roller.